Abastor2.0 is one concept I wish would become real. 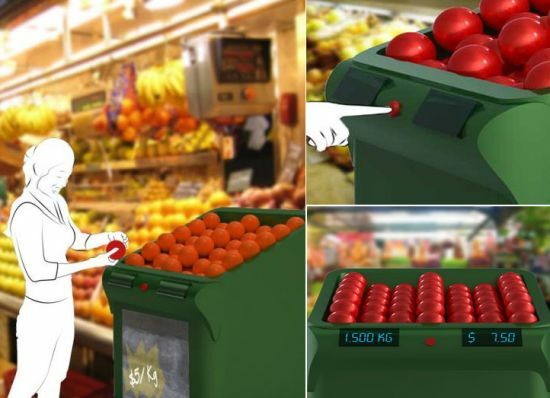 This container, as shown in the picture above, will be of great assistance when out for shopping for vegetables and fruit. You wouldnât have to shout your guts out, saying how much for this and that one please. As soon as you press the button it would display the weight and the price of the product as you go on grabbing. When full, it would display the weight and the price of the total, which will eventually decrease as the purchase increases.